As the founder and practicing attorney of this Arizona law firm, I enjoy introducing myself and the practice to potential clients. I am attorney Joy Garvey and I welcome the opportunity to learn about your legal concerns that brought you to this website. In turn, I will gladly share how I can help you reach for your goal with confidence. Once you get to know me, you will understand the nature of my drive to succeed in collaboration with others. You will also realize that to me, a team is a family. Working with clients is like bringing people into a family or a team. Faith in God also moves to me to serve others, including my clients, through my attentiveness, skills and hard work. As a lawyer, as a family member, as a member of any team and a member of my community, I am passionate and take personally every endeavor in my life. 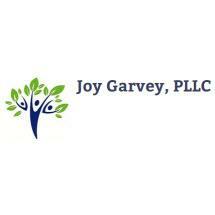 Advising and representing clients of Joy Garvey, PLLC, is not simply a job or a profession for me. It is a calling and a privilege.